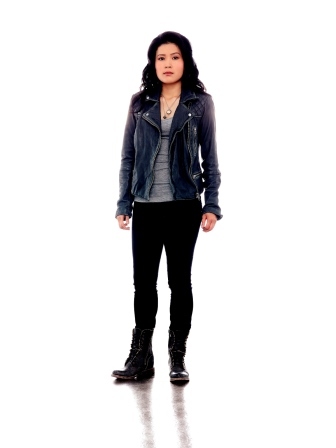 Jadyn Wong on Her Ultimate Power in the New Episodes of "Scorpion"
Canadian actress Jadyn Wong once said that working with an all-male cast in action drama series Scorpion is like bathing in testosterone. Three seasons on, she shows that all the levels of masculine energy surrounding her are not enough to neither drown nor overwhelm her. Her character, Happy Quinn, used to be the lone female brainiac member of a team whose mission is to neutralize complex, high-tech threats around the world. The past seasons saw Happy's ‘unwavering resolve in the face of danger. She joined her team disguised as a film crew to locate a Soviet-era nuclear warhead being sold by arms dealers in Kazakhstan. And along with Scorpion co-member Toby Curtis (Eddie Kaye Thomas), she managed to recapture a fighter plane controlled by Bulgarian hackers. Though the past seasons showed Happy as one of Team Scorpion’s sharpest minds, they also showed her fighting personal battles. As someone abandoned by her father when she was young girl, she grew up hostile to affection. Still, her seemingly callous demeanor softened as the show went on. Earlier in Scorpion, Happy struggled to contain her feelings for Toby, who also happened to be one of her closest friends in the team. She even dated someone else just to stop thinking about him, but her efforts were in vain. Nothing could stop their romance from blooming, despite team leader Walter O’Brien (Elyes Gabel) telling them not to get involved with one another. But when Toby was kidnapped in one episode, Quinn did all she could to make sure he survived the ordeal. She even requested a divorce from her husband so she could accept Toby’ proposal for marriage. The latest episodes further revealed a new chapter in Happy’s colorful life: motherhood. Will she now be able to find the happiness she missed in childhood, despite being entangled in a world of danger? 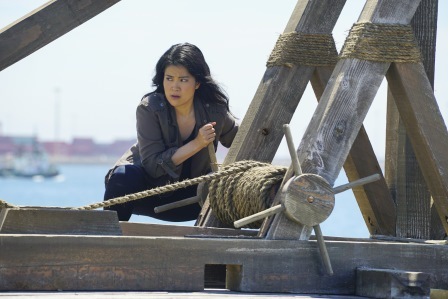 Jadyn Wong as Happy Quinn may be Team Scorpion’s genius problem-solver, but the actress also has other remarkable talents including a black belt in karate and training in classical piano. She recalled attending theater auditions to get a sense of what acting felt like. While she did not land in major roles during her early career, her first professional audition earned her a minor role in the Golden Globe-nominated miniseries Broken Trail. Wong also has a playful imagination and a spirit for adventure. She once said she wanted to see how fans would react if she dressed up as a ninja turtle in ComicCon. For her last birthday, she went on a solo backpacking trip to Europe.